Apple、Apple Retail Storeに展示してあるMacBookのディスプレイの背面角度を70度から76度へ変更？ | AAPL Ch. 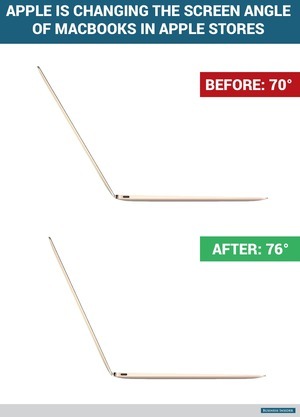 Famously, Apple employees were once instructed to ensure that the screens of all laptops displayed in its stores were angled at exactly 70 degrees. 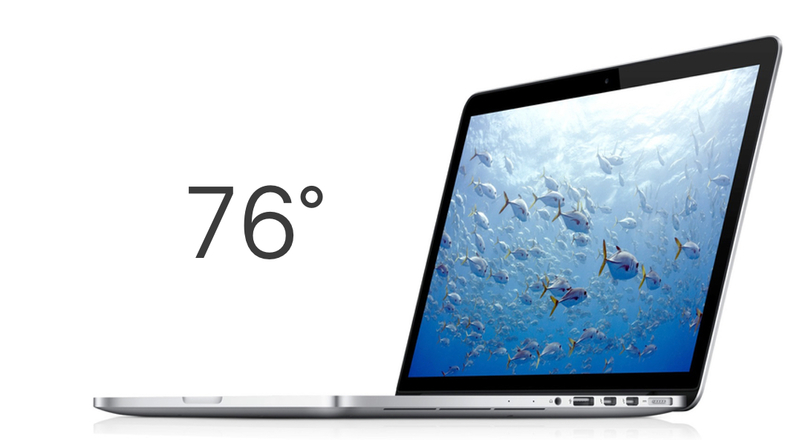 But a while back, that instruction changed, a source tells Business Insider: Now, Apple laptop screens must all be set at exactly 76 degrees. 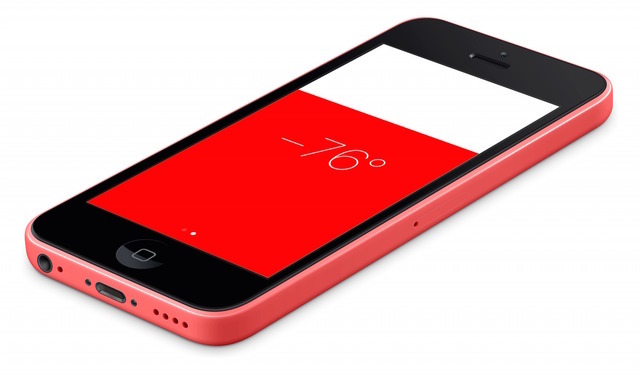 The Apple Store pays attention to every detail. You might think that Apple positions all its notebook computers for aesthetic reasons. That’s partly true. The tables are uncluttered and the products are clean. But the main reason notebook computers screens are slightly angled is to encourage customers to adjust the screen to their ideal viewing angle—in other words, to touch the computer! The reason remains the same: The laptop screens tempt customers to adjust the screens when they look at a new Macbook. 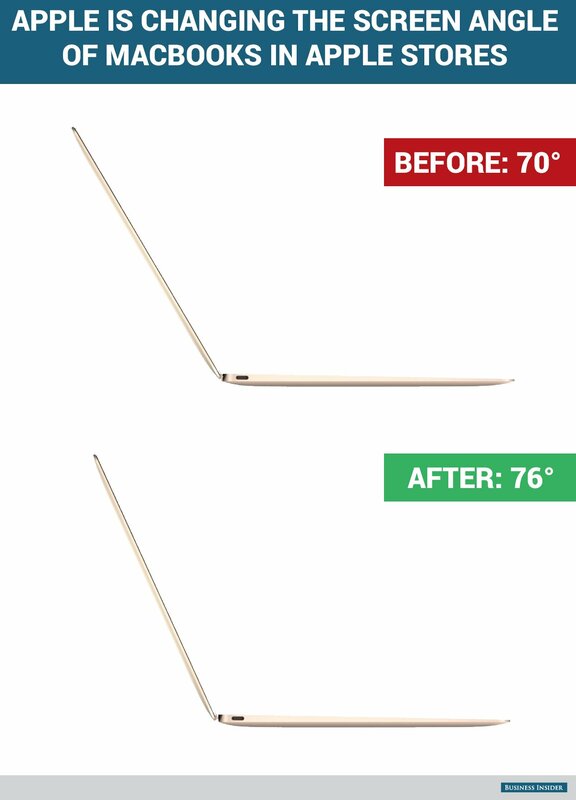 […] The new angle, being closer to 90 degrees, will make the laptops look just a leeetle bit more closed than they were before. 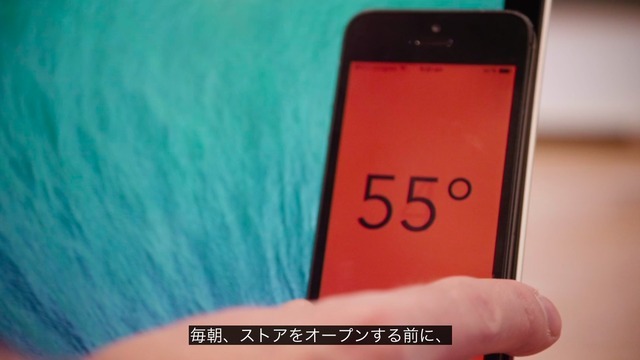 We asked Apple for comment but did not hear back.